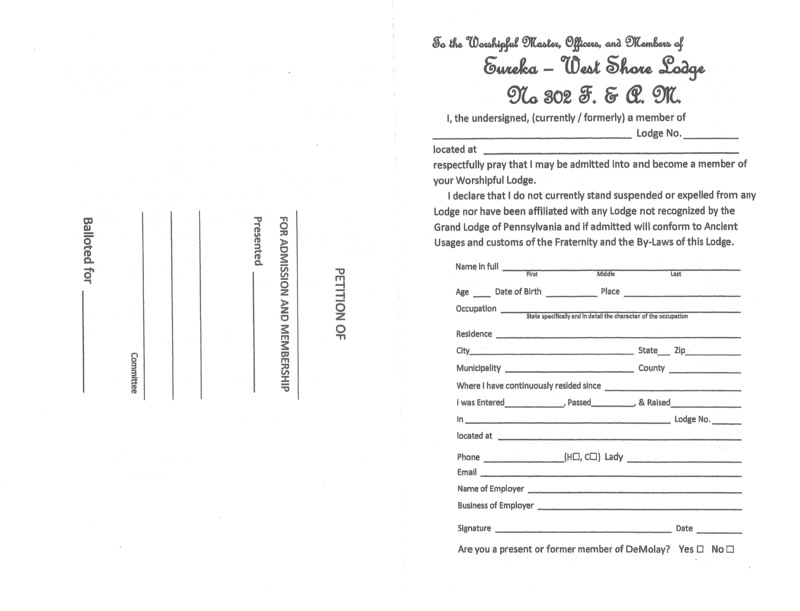 This form must be filled out in its entirety signed by two masons, preferably by Masons of the Lodge you wish to join however at least one must be a member of that lodge. 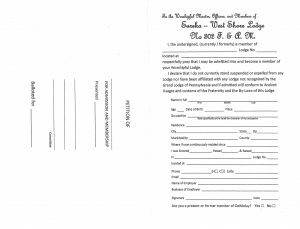 To learn more about the lodge and the process of petitioning and joining a Lodge, please contact us at 302ews@gmail.com or go to our Contacts page and fill in the form. 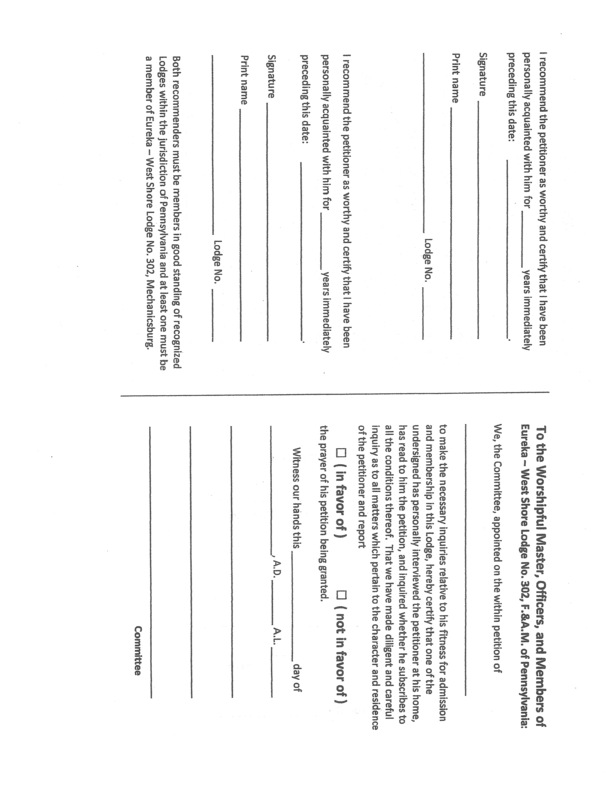 For transfers from one Lodge to another Lodge within jurisdiction, please use the following documents. 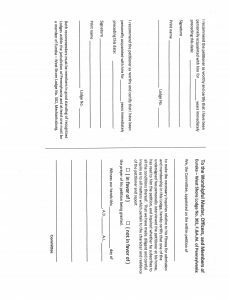 Again for more information or for clarification on the usage of the below documents, please contact 302ews@gmail.com or go to our Contacts page and fill in the form.